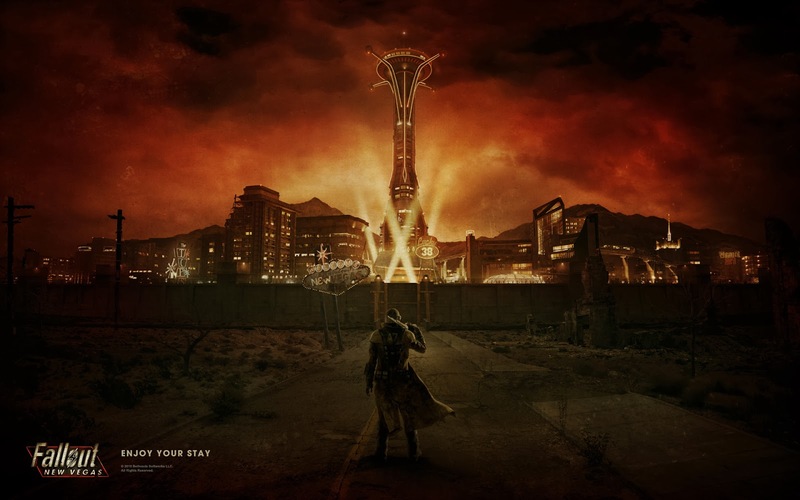 Fallout: New Vegas is a first-person role playing game set in an apocalyptic future. You, the player, wake up after getting shot in the head in a tiny town called Goodsprings. From here, you have choices about what to do. Do you follow the trail to the people who tried to kill you or do you explore the area? Do you help the people who found you? Or do you help another group take over the town? Your choices create your karma rating, and your reputation with different factions in the game. It's the choices that I like in this game. I choose what I want to specialize in, I choose whether I want to solve problems with words or guns. Sometimes, there are no good choices and yet I still need to make one. I've played this game a lot lately, and I realized something on a gut level that I only knew in my head before - I learned the cost of fighting and war. This revelation began with the Great Khans, a tribal faction that people wanted either manipulated or dead. One side, the Legion, wanted to use the Great Khans as cannon fodder for an upcoming battle, after which whoever survived would then be a slave for the Legion. The NCR wanted the Great Khans not working with the Legion, but the Great Khans hate the NCR for massacring their elderly, sick, and young. I never played on the side of the Legion, mostly because even though it's a game, I find the Legion to be repulsive. Yet even playing for the NCR, I disliked the attitude of the command to "deal with" the Great Khans. The NCR didn't care if I butchered the entire group or got them to sign a truce, just so long as the Khans didn't work with the Legion. So here I was, speaking to people who were not my enemies, but not my friends. A Legion representative arrived before I did, selling snake oil to the Great Khan leaders. The first item on my agenda was to find evidence of the Legion lies, which turned out to be straightforward though quite difficult. The second item was getting the Great Khans the evidence and breaking the fledgling alliance. Again, straightforward, though this was relatively easy. Now, I had a choice. Do I try to convince the Great Khans to join the NCR in the battle? Or do I leave well enough alone? I discovered another option - convince the Great Khans to leave Nevada and settle in a new home, away from the NCR and the Legion. I choose this option, because it caused the least amount of bloodshed for the Great Khans. But I had to think about it a lot, because this option also means a potential for more NCR losses. Whose life is more important, a Great Khan or an NCR soldier? And that is the exact moment it hit me, the revelation. War costs money, true enough, and time and energy. But more important that those, war costs lives, and not just the lives lost. The people who go to war and survive always come out scarred, inside and/or out. War is a great beast that eats people, consumes their innocence and happiness, and spits out the gristle. War is Cerberus, the three-headed dog from Hades, while the war machines are merely dog food production lines. War is is a place so negative, so bad, that to die there is preferable to living, because the memories of War are chained to them forever, while the dead get to rest and be free. For civilians, war kills the very young and the very old, the sick and weakened. War takes away homes, stability, medicine, jobs, and schools, leaving behind burned out wreckage. Right now, polio is springing up in Syria because war stopped the efforts to vaccinate everyone. Right now, millions of people are in refugee camps, divided from their families and friends, wondering where their next meal will come from, because war took away their food and stability. 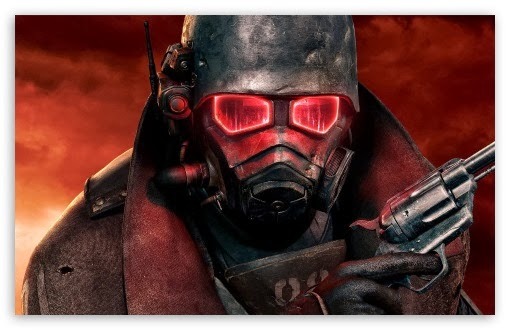 By playing Fallout: New Vegas, I grokked the cost of war, and I decided that for the Great Khans the price was too high to ask them to pay. So I convinced the leader to take his people away, start anew someplace else. At the end of the game, I watched a series of vignettes showing me the results of my actions during game play. The Great Khans established their own territory, protecting their people, and trading with others. War didn't win, at least this time. On a side note, video games can help people learn consequences without needing to hurt anyone in the real world. Remember that, nay sayers.